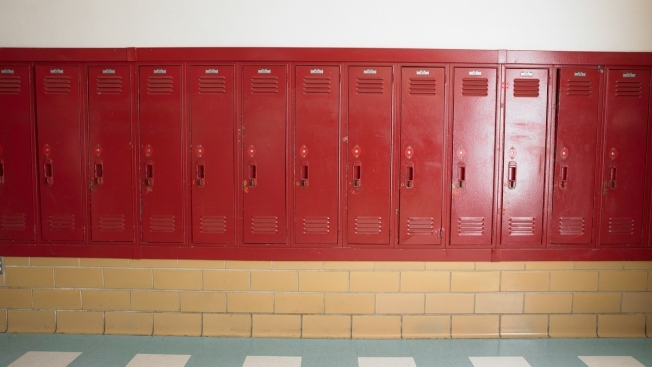 A stock photo shows lockers in a school hallway. Nearly 2 percent of high school students identify as transgender, and 35 percent of these trans students have attempted suicide in the past year, according to a study released Thursday by the Centers for Disease Control and Prevention. The study validates similar findings from smaller clinical and web-based studies that have found transgender students face higher rates of victimization, substance abuse and suicidal thoughts when compared to their cisgender (nontransgender) peers. “This study is the first time this question was asked," Caitlin Clark, a research associate at GLSEN, a national nonprofit that works to ensure schools are safe and affirming for LGBTQ students, told NBC News.